Canadian celebrities | Anything and everything concerning celebs, celebrity and famous people! And spare me any “oh Levenstar, you are perpetuating stereotypes by suggesting that women can’t like sports. You are supporting the patriarchy derived notions of what it is to be a woman, blah, blah, blah “. This isn’t what this post is about. Obviously women can be into sports. What I am proposing is that perhaps Selena Gomez is in fact a lesbian. This would explain everything about her and Justin’s relationship. Look at his hair, look at his face! Is he wearing makeup? And WTF is that tool wearing? 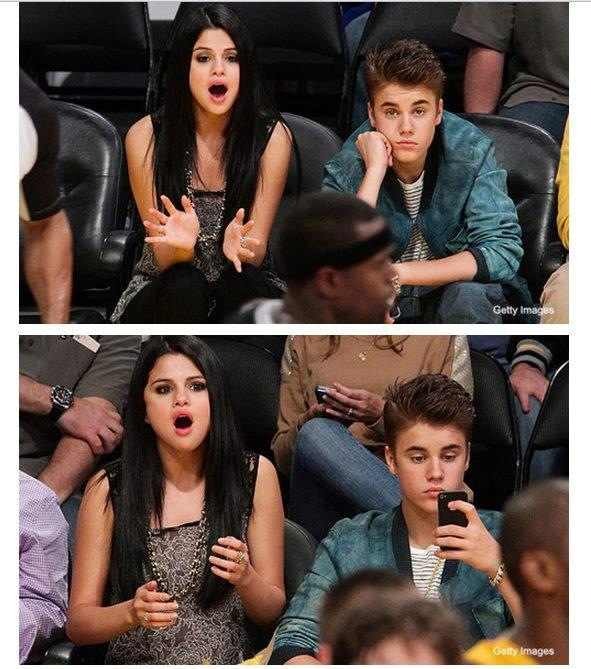 Justin Bieber is the ‘manly’ female in the relationship! He’s mostly a woman trapped in a woman’s body, pretending to be male. It makes perfect sense!